Piggy's Revenge : Piggy's less than 100 days away!!!!!!!!!!!!!!! Piggy's less than 100 days away!!!!!!!!!!!!!!! Hurricane Irma left her mark! The trails are in dire need of some cleaning up with several sections that are inaccessible due to seasonal flooding. Overall we are still on schedule for another great Piggy's Revenge. Several trail work days are planned and we need our SCORR members to come help out. 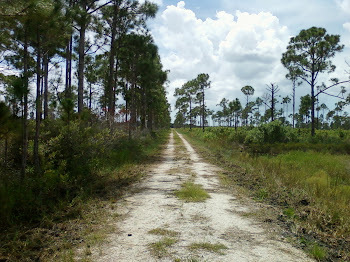 Depending on our progress, we might be adding 5 brand new miles of single track to the inventory. The 60 mile loop will be similar to last year but yet undetermined. As of today, we have not ridden some of the section since late spring. The 20 and 40 might be modified if we get the new trail built by January 7th. The weather is the only factor we can't control. The trails will be fun and the distances will challenge you. This event will be a great way to kickoff 2018. Beer and Brats at the finish line as usual. We love windy and dry days! !